The Boston startup SimpliSafe on Wednesday announced a new line of install-it-yourself home security kits. 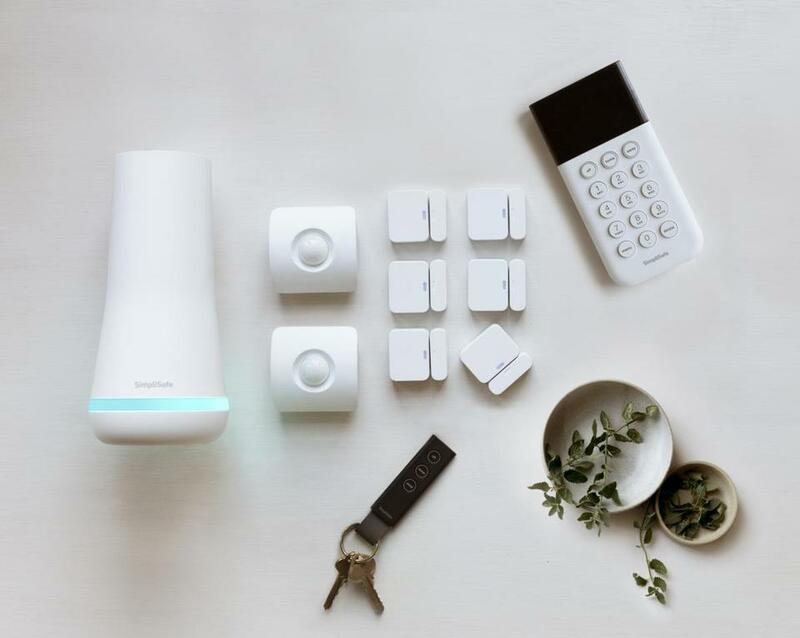 Boston startup SimpliSafe on Wednesday announced a new line of install-it-yourself home security kits, upgrading its core product in the face of competition from big tech companies that are building alarm systems into their networks of “smart home” devices. The company is hoping to keep its place in an industry it helped change nine years ago with the introduction of its first system. The home security industry had long relied on professional installations and long-term contracts, but now many companies offer a wider array of products to customers who may not want to be tied to one provider. The new equipment from SimpliSafe can cover larger areas and has more safeguards against tampering, power outages, and telecommunications failures. It adds wireless internet capabilities alongside the previous version’s cellular connection, for instance, which means the new systems will work even without access to one of those connections. SimpliSafe said the new devices can be updated over the air, a feature that could be used to fix weaknesses such as a hack by a security researcher in 2016 that showed how to remotely disable a SimpliSafe alarm. Though the company maintained that such an attack was unlikely to occur outside of the experiment, there was no way to fix the concern on existing systems. The new systems range from $229 to $539, and monitoring starts at $15 per month. The company said it will also be introducing a video doorbell, a door lock with digital capabilities, and a plan to integrate its service with Amazon’s Echo voice control device. Blake Kozak, a tech analyst at the research firm IHS Markit, said SimpliSafe has stiff competition. Kozak, who believes consumers are going to prefer products that work easily with other smart devices in their home, said SimpliSafe should strive to add more capabilities, such as analytics. Big competitors include Nest, the Alphabet subsidiary, which recently introduced its first home security offering, and ADT, which is teaming with Samsung on a self-installed system similar to SimpliSafe’s that also offers professional monitoring. “I know having large competitor enter your market or adjust their strategy, it could make you nervous,” he said. But he said SimpliSafe will benefit from increased attention on its field. “One of the biggest challenges is raising awareness that not only is this something you can do, this is something that you should do,” he said. SimpliSafe, which in 2014 raised $57 million in venture funding from the big-name Silicon Valley firm Sequoia Capital, said it is now turning a profit. The company said it had 2 million customers and is growing by 50 percent a year.